After many hours of code hacking- the conclusion is that anything inside the iframe is not accessible, even the scrollbars that render on my domain. I have tried many techniques to no avail. The closest solution I found was the 3 iframes- but it goes mental of chrome and safari so I cannot use that. I found a another post on how to use the scrollheight to try and resize the form.. in theory it works well but I could not apply it properly using the iframes scroll height..
All this can do done with HTML5 sockets. But easyXDM is great fallback for non HTML5 complaint pages. Solution 1 Very Great Solution! 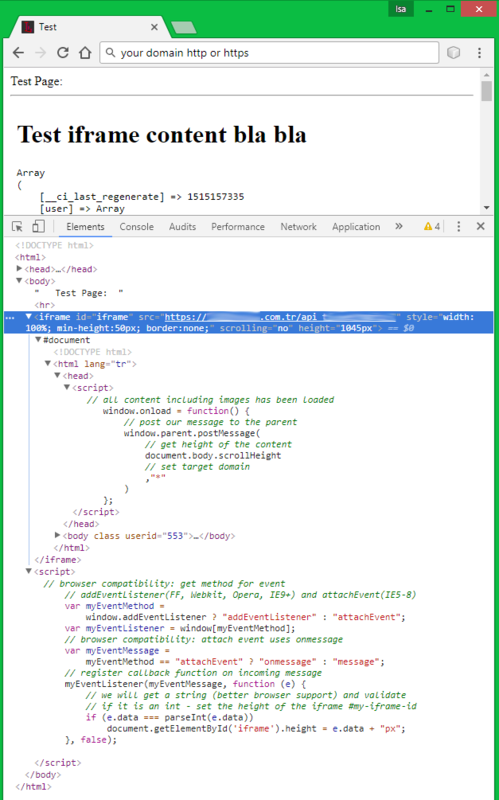 //Use jquery on a masterpage. and on the callers domain they just need to add the intermiedate_frame html and easyXDM.js in the same place. Like a parent folder - then you can access relative directories or a contained folder just for you. If you don't want to add scripts to all pages look at option 2! Then they can just add a simple jscript to the end of each the pages you need the resize to occur. No need to include the easyxdm in each of these pages. This works great for me. If the width is not included then the frame behaves a bit strange and kind'of tries to guess what it should be .. and will not shrink down if you need it to. Your intermediate frame should look something like this..
//Poll for changes on children every 500ms. Work across browsers and is fast. Great debugging features !! Excellent Work to  Sean Kinsey  who made the script!!! So basically if you have a mutual agreement with the other domain then you can add a library to handle sendmessage. If you do not have any access the the other domain.. Keep on looking for more hacks- because I could not find or fully justify these I found. In the club.js is just some custom calls i made for resize calls and contains..
//Get the dimensions and send back to calling page. // Keep track of the iframe dimensions. //Here you must put the other domain.com name only! This is like an authentication to prevent spoofing and xss attacks! This code uses mutationObserver to detect DOM changes and also looks out for resize events, so that the iFrame remains sized to the content. Works in IE8+. EDIT: To get around cross domain issues, you can always just do the work in a Chrome Extension Content Script, since it thinks it's part of the page you're sticking your iframe on. postMessage. Some browsers are not supported of course. window.location.hash manipulations. I think it is solution #2 here. Only the third one can resolve many problems. 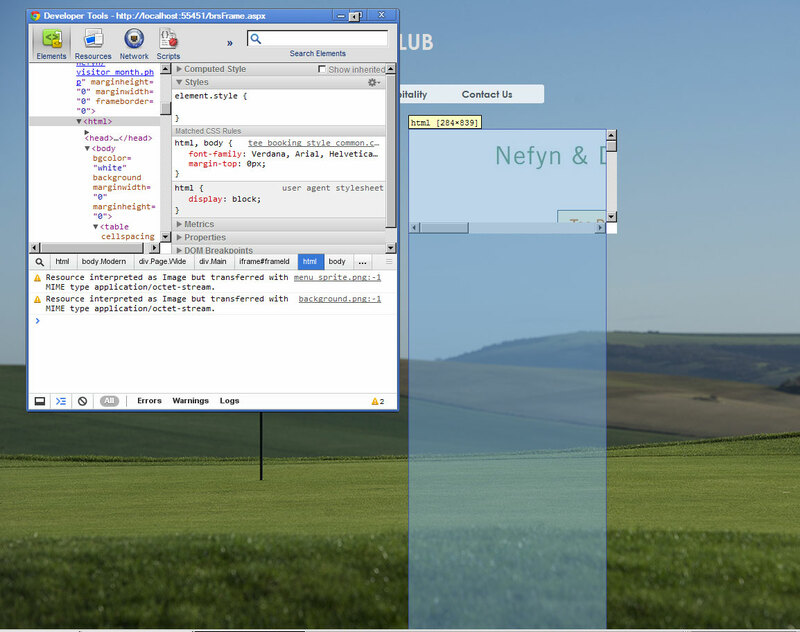 For example you can create responsive iFrame; close it from inside or you can communicate with it. But to do that you need iFrame in Iframe and the "third party cookies" workaround (optional). The script is then initialised on the host page with the following available options. @BalaPeterson, if you can't access the remote domain, then you can not do this due to the security restrictions in the browser. the key to this is "sizeframe1" .... for multiple "resizers" on the same page, copy the same script but change the id in iframe and the name in the script in the head, and viola! you have multiple resizers on the same page...it works very well! I don't think you are addressing the actual question asked. This is a combination of my code and David's solution. My solution is geared specifically toward resizing iframes. In the child page, find the height of the page and pass it to the parent page (which contains the iframe). Replace element_id with your element id (html, body, whatever). If you open the console, you will see the height being printed in the console log. This will help you in debugging which is why I left it there. This works great but not quite as much in IE. I had to send 2 variables, but IE won't accept "data" if its an array or object. However, I simply created data as data = var1 + "|" var2. On the parent, you just split the string on | and get your 2 vars back. and use that as the iframe height attribute. We will never have the "page" scroll, only the "iframe" scroll. When You navigate, doesn't matter who is the scroll, but the important is that there's only 1. Off course, the "iframe" scroll will be, allways, of the same size of the page. So, while navigating, You just see it as it was the "page" scroll. The thing is - there is no other way than using Cross-Domain Messaging for this since you need to get the computed height from a document in one domain, to a document in a different domain. So, either you do this using postMessage (works in all moder browsers), or you spend 5 minutes adapting the resize iframe example from easyXDM. The other party really just needs to copy a few files onto their domain, and add a single line of code to their document..
On the contrary my friend. I found a way to resize the iframe from a cross doimain page to the iframes docuemnt size and no scrolbars. its kinda hacky but will post later.. its just so simple its unbelievable. yea... I used sendmessage jquwery plugin- i though i found another hack- false positive.. ;) thanks for the good tip! @SeanKinsey Which browsers supports the onResize ( for iframe ) ? @RoyiNamir none, unless you consider seamless iframes - benvinegar.github.io/seamless-talk/# The easyXDM example uses Cross-Domain Messaging to relay regular resize events. However, this only works if the page you are showing in the iframe is on the same domain. If it's not you cannot access the required information. Hence, the access denied error. Height gets calculated depending on the contents and the attributes they have. The height of an element is uncertain until the the children are rendered. how can i get the rendered values then? like the inspect in chrome does? -1 since this doesn't work cross-domain, which is what he asked for. You can't get the values. The inspector can because it has "browser extension" level permissions and not "web page with a different origin" level permissions. -1 as the question clearly mentioned 'cross-domain'. [SOLVED] Is it possible to perform an asynchronous cross-domain file-upload?